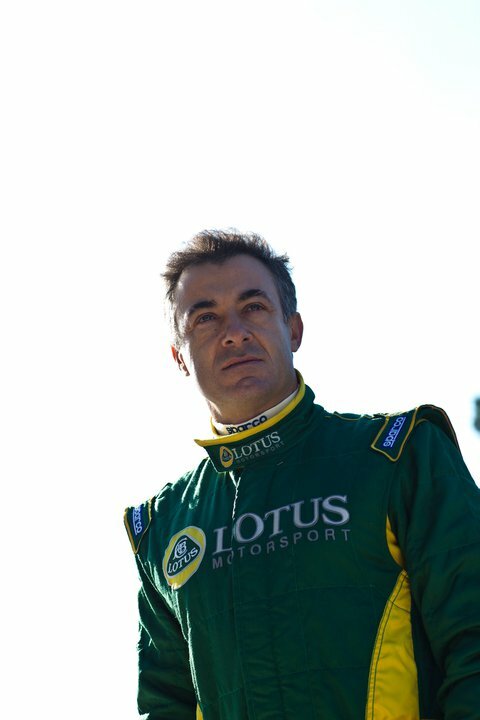 Jean Alesi and Fan Force United: Lotus’ Last Hope? Plenty has been made of 47-year-old former Formula 1 star Jean Alesi’s decision to run in this year’s Indianapolis 500. For the most part, it hasn’t been positive. Those who were paying attention to the early stages of Lotus’ IndyCar engine development knew that the legendary British marque had been planning on running the Frenchman at Indianapolis since last September. But despite his work as Lotus’ top driving instructor for the T125, a $1 million open-wheeler reminiscent of a late Champ Car or lesser F1 racer, most questioned Alesi’s ability to get up to speed in an IndyCar – especially over a decade removed from his last Formula 1 start. Now, with the systematic crumbling of Lotus’ modest engine program, the brand has lost four of its five full-time entries and two prospective ones from Newman/Haas Racing and Michael Shank Racing. Alesi was due to drive the Newman/Haas entry at Indianapolis, but instead will suit up for Fan Force United, an Indy Lights team with zero career IndyCar starts and no intent on running this year’s 500 until Alesi became available. As such, car and driver are being almost universally written off as a team that wouldn’t even make the race if not for the likelihood of exactly 33 cars trying to qualify. This is a warning: don’t underestimate them. It’s true that Alesi has never raced on an oval before. But it’s also true that Alesi has maintained a relatively active driving profile since his exit from F1, racing for Mercedes in the DTM championship from 2002 to 2006. During that time, he scored four race victories and a best finish of fifth in points. But the successes didn’t stop there; in the Speedcar Series, a Middle Eastern-based stock car championship featuring former F1 drivers, Alesi scored four more wins in 2008 and 2009. In 2010, he rejoined Ferrari, his former F1 employer, in the GT2 class in the Le Mans Series, and alongside fellow ex-F1 driver Giancarlo Fisichella finished second in points. Only last year did Alesi stop competing full-time, and that was to develop the T125. As for FFU, they are an Indianapolis-based team bent on breaking into IndyCar after years of Indy Lights competition, and many of those involved are names that die-hard fans of the sport would recognize. One of the team’s owners is Tyce Carlson, a veteran of 29 IRL starts from 1997 to 2002. Also involved is Tim Wardrop, who won the 1997 Indianapolis 500 as Arie Luyendyk’s engineer and helped Luyendyk set one- and four-lap qualifying records in 1996 that stand to this day; Mike Colliver, who served as engineer for Kelley Racing, Hemelgarn Racing, and A.J. Foyt Enterprises in the 2000s; and Greg Beck, who fielded cars at Indy for much of the 1990s and 2000s, and facilitated Billy Boat’s fourth place finish in the 2001 IRL standings. No, this isn’t the IRL of the late 1990s, in which this team would likely have dominated. That doesn’t mean they should be written off entirely. In the end, FFU’s success or failure at Indianapolis may prove to be either the final straw for Lotus or a step towards finally finding its footing in IndyCar. Most fans know the story so far: Lotus only scored one top 10 finish in the first four races of the season, a ninth place run by Sebastien Bourdais at Alabama, as only two of its drivers – Oriol Servia in 17th and Bourdais in 20th – managed to stay in the top 20 in points. Servia’s Dreyer & Reinbold Racing team and Alex Tagliani’s Bryan Herta Autosport squad were the first to announce a split, with BHA skipping the series’ trip to Sao Paulo entirely. Meanwhile, Jay Penske’s Dragon Racing squad, with Bourdais and Katherine Legge behind the wheel, has filed a multimillion-dollar lawsuit and plans to transition to Chevrolets. Newman/Haas was unsatisfied with the way their Indy program was shaping up, and Shank wouldn’t justify fielding a car with an uncompetitive engine. 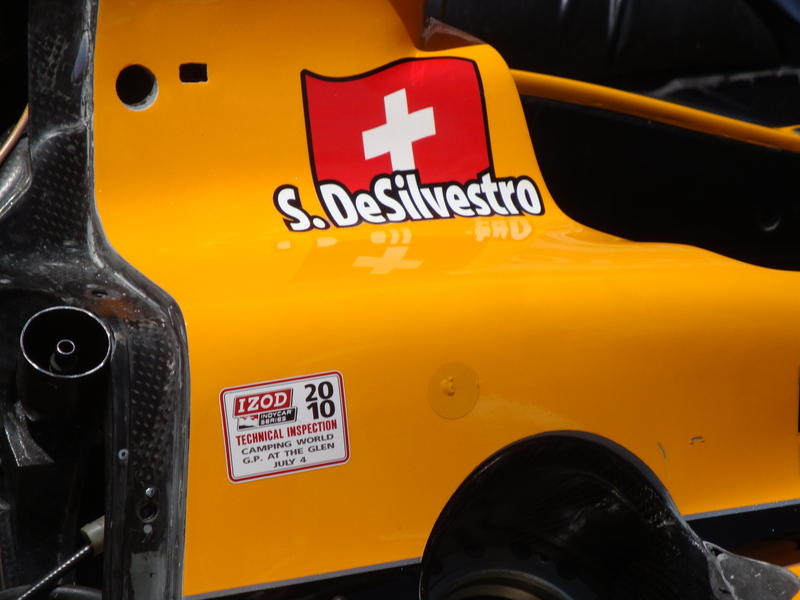 Besides Alesi and FFU, Lotus is left only with its flagship squad: HVM Racing and Simona de Silvestro, currently 24th in points with three DNFs. No, it’s not an ideal situation for anybody involved. Lotus would like to have retained more of its teams, while Alesi – who reportedly turned laps of 223 miles per hour at Indianapolis in Dallara’s DW12 simulator – and FFU would probably prefer to have a faster engine. But simply making the race and not embarrassing themselves may be success in and of itself. Just finishing the race should prove to folks that Alesi’s still got the talent. And not producing a back-row dog of a car would go a long way towards helping FFU realize its goal of becoming a full-time IndyCar team someday. In the end, success may be their only option. Over the past year, Lotus has greatly expanded its motorsports commitments, from Formula 1 to sports cars to the IndyCar Series. But as US Race Report’s Chris Leone explains, the latter has been an exercise in frustration, as Bryan Herta Autosport and Dreyer & Reinbold Racing have left the engine manufacturer for uncertain futures. 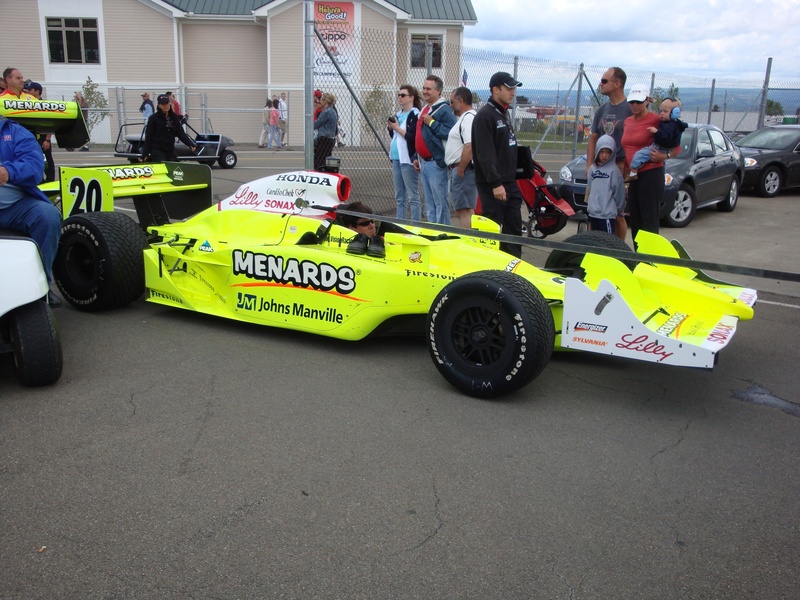 Simon Pagenaud’s open-wheel career was put on hold when the Champ Car World Series disappeared before the 2008 season. After four years in sports cars, US Race Report’s Chris Leone explains, Pagenaud has returned to the single-seaters with a vengeance, taking IndyCar by storm in 2012. This is the first post of a five-part series predicting the 25 biggest storylines of the 2012 IZOD IndyCar Series season. We’ll be addressing some of the top assumptions coming into the year, and either reaffirming them as fact or dismissing them as fiction. Today, we’ll count down stories 25-21. Enjoy! 25. Ed Carpenter Racing is simply the second coming of Vision Racing. FACT: This time around, Tony George didn’t simply buy the assets of a folded team like Kelley Racing and turn it into an outfit to keep Carpenter in the series. This is Carpenter’s team, and he hired the perfect person to run it: Derrick Walker, the longtime CART owner, who was responsible for launching Will Power’s career and turning Gil de Ferran into a contender. While Carpenter is still lacking in speed on road and street courses, he’s surrounded himself with the right people to make him faster. 24. Taking a few seasons off won’t impact Bobby Rahal’s team as it returns to full-time competition. FACT: Rahal Letterman Lanigan Racing usually put up solid performances in its limited IndyCar appearances over the past few years, nearly stealing last year’s Indianapolis 500 win with Bertrand Baguette, so returning to two full-time cars should be a cinch. Because they’ve moved back up to full-time competition, they were able to select from a better (and better-funded) pool of drivers. Lead driver Takuma Sato showed his typical speed and improved consistency last year, while Luca Filippi will be an intriguing young prospect once he starts his season at Indianapolis. 23. The NBC Sports Network will be a major step up from Versus, its predecessor. FACT: If you’ve watched any of NBCSN’s coverage of any sport since the rebranding, you can tell that the broadcasts are going to look and feel professional. Everything from NHL hockey, its lead property, to niche sports like the Dakar Rally and Red Bull Crashed Ice have been covered with skill and care. With NBCSN also committing to air all Indy Lights races this year, expect an extra level of attention to detail in 2012. 22. Simona de Silvestro will finally have a breakout year in 2012. FICTION: Despite de Silvestro’s HVM Racing employers being the lead Lotus team this year, Sebring testing may have been an indicator of where they’re going to be in the points. There’s simply so much talent in the series right now that the top of the standings is going to be crowded, and breaking out may take an other-worldly performance. While de Silvestro has the raw talent, she hasn’t had the luck in her IndyCar career. If Lotus is as far behind as some think they are, that might not change. 21. Chevrolet will outperform Honda consistently in its return to the sport. FACT: Honda has Chip Ganassi, but Chevrolet has two advantages on its side: a more experienced engine builder and a deeper lineup. Chevrolet once worked with engine builder Ilmor to create the Chevy Indy V8, which won 64 of 78 CART races from 1987 to 1991; after years of building the old Honda engines, the two companies have reunited to produce the new turbocharged V6s. And while Honda has secured the always strong Ganassi squad, Chevrolet has more teams in winning contention under its belt, with Roger Penske, Michael Andretti, Jimmy Vasser, and John Barnes among the owners who will sport the bowtie this year. 2011 HIGHLIGHTS: The 2010 Indianapolis 500 Rookie of the Year signed a long-term contract with HVM Racing and multiple new sponsors, securing her place in IndyCar for years to come. She responded by starting the season with a fourth place finish at St. Petersburg and ninth place at Barber. 2011 LOWLIGHTS: Things fell apart for de Silvestro from there. She crashed heavily in qualifying at Indianapolis, suffering burns to her hands; she crashed again in qualifying at Milwaukee, causing her to pull out of that race early and skip the Iowa round after suffering concussion-like symptoms. Then, a passport snafu after a visit home in Switzerland forced her to miss the Sonoma race. SEASON OUTLOOK: After a disastrous sophomore season, de Silvestro could have a serious shot at stepping up her game in 2012. Her HVM Racing team is now the flagship effort for the new Lotus-Judd engine program, after the brand shifted its focus away from KV Racing Technology. Her team may also make serious additions in the engineering department as a result of that partnership. But Lotus was far and away the slowest of the three engine manufacturers to develop its 2.2-liter V6, and while Honda and Chevrolet engines spent plenty of time on track shaking down the Dallara DW12, Lotus was nowhere to be found. If they’re at a serious power disadvantage, as is the logical fear, de Silvestro may stay in that 20th place vicinity.